When running a healthcare organization, cost is always being looked at; especially when dealing with hiring and staffing needs. Hospitals and other healthcare organizations juggle to balance costs during budgetary shortages, increase their market position, manage physician groups, all while making sure that patient satisfaction is high. These tasks become even more of a challenge when a vacant healthcare position comes into place, especially one in leadership. While a position vacancy can be seen as a short-term reduction in expenses, it is important to look beyond the upfront costs of hiring and salary and think of the revenue that can be driven once that position is full. Throughout our years of assisting healthcare organizations with their executive search needs, we have seen that the cost of vacancy (COV) for a healthcare leadership position can be even higher. 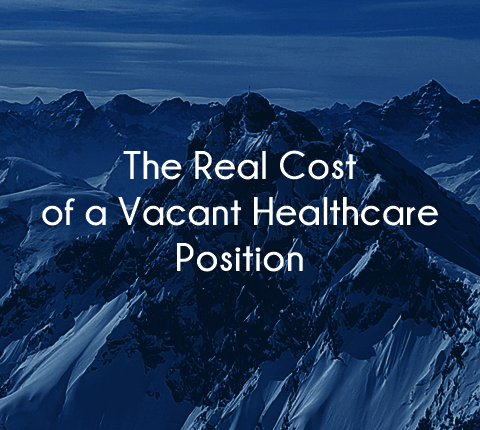 Today we will look at the true cost of a vacant healthcare position for your health care organization. According to the ACHE, hospital CEO turnover is at 18%. While this is lower than the high of 20% found in 2013, it is among the highest in the past 20 years. Each time a healthcare leader moves onto a new organization or position, healthcare organizations have to scramble to either move someone up into that position or to bring in an interim leader to hold the fort while a permanent fit is found. According to Healthcare Finance, the COV in healthcare can have an average cost of almost $8,000 per day. When that position is left unfilled for three months, this cost can go up to $14,000. The aforementioned numbers are an average in the healthcare industry. The numbers are much higher when you look at leadership positions. This means that a healthcare organization that finds itself without a vital leader can lose revenue, often thousands of dollars per week. Revenue is not the only cost. Vacant leadership positions can also mean a disruption in workflow, a decline in quality of care, and most importantly patient and staff satisfaction. The cost of vacant healthcare positions at the CEO, CFO, CTO, and other top management positions have the highest cost and impact to the organization. For those organizations that deal with analysts or that are on the stock market, it can send a message that the organization is weakening, that it is vulnerable, that the company culture is not strong. A vacant healthcare position can have a big impact on your organization’s inner workings. When a leader is gone, someone must step in to handle the responsibilities of that position. This can cause a domino effect. Those stepping in can make mistakes, feel overwhelmed, frustrated and become less productive. In a worst case scenario, their job satisfaction will plummet and they may end up quitting at a higher rate than normal. When your department is understaffed, the rest of the team will have to pick up the workload and have less time for training, conferences and networking events. This has many effects including increased stress, decreased knowledge, frustration, and loss of revenue. The rate of CEO turnover is at 18%. On top of this, one must consider that when a CEO leaves, other leadership tends to follow suit, including CFO, COO, and CNO. Losing one leader can result in the loss of multiple leaders at a rate of up to 41%. The largest US generation, Baby Boomers, is actively retiring. Up to 70% of healthcare leadership is planning to retire within the next decade. Nursing is seeing a rise in retirement rates as well. CNO retirement is rising with a retirement rate of 14% in RN attrition. When it comes to hospitals, it is estimated that ¼ of periop directors are set to retire within the next five years. Healthcare unemployment is at an all-time low. As of December 2016, healthcare unemployment reached a low of 2.9%, lower than all other US Professions at 4.7%. This is the first factor to affect health care talent acquisition. In the past, many healthcare organizations have been forced to leave mid-level management positions open, usually due to budgetary constraints. Today, this means that these organizations do not have an in-house workforce that is ready to move up into leadership positions. The best executive search firms can help healthcare organizations in two ways. They can begin by placing interim leadership to stabilize the situation and ease pressure on HR. They can then conduct an executive search to attract, vet and place the ideal long-term candidate for the position. The key here is to partner with the right executive search firm. 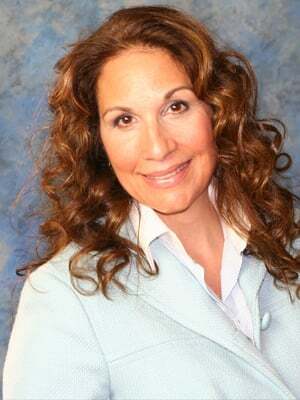 Summit Talent Group is a boutique executive search firm that focuses only in the healthcare field. Our team works with a proven 6-step executive recruitment process to ensure that the vacancies at your healthcare organization are filled in quickly with qualified candidates who will grow with your organization. To learn more about how our expert executive search team can help you with your staffing needs, contact us, we look forward to speaking with you.